We were delighted to welcome Melanie Hough from IAS (Integrated Autism Services) to Double Click recently. Melanie took our staff through some of the challenges facing people with autism day to day, and introduced us to the ‘Can you see me?’ scheme, which aims to improve access to a range of businesses and activities for children and adults with autism. Autism is a ‘hidden disability’ and whilst some people may not want you to know they have the condition; many do. By individuals letting you know that they have autism, the hope is that you can make some small changes that will make things easier for them. 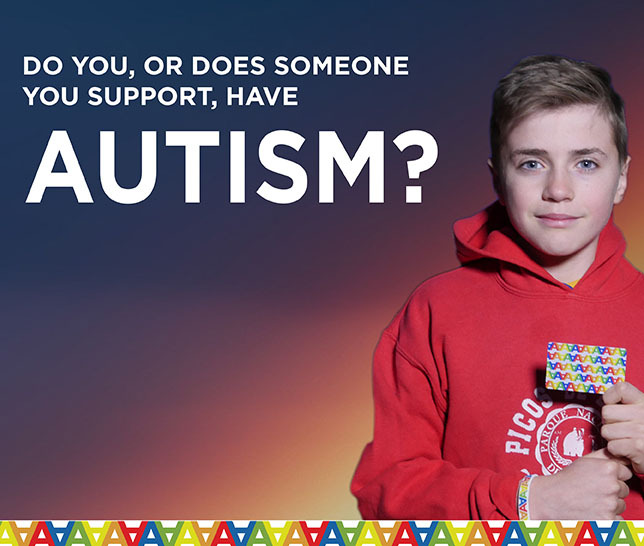 As many people find it difficult to tell you they have autism, we have developed a scheme to help you recognise when an individual has autism. The ‘Can you see me?’ scheme, provides individuals with autism with a wristband, card and screensaver for their mobile device so they are able to let you know in a discrete manner, that they have autism. You can find out more about the scheme, along with printable materials such as posters and leaflets here. All our staff found Melanie’s visit invaluable, and Double Click is now proud to call itself ‘autism aware’.